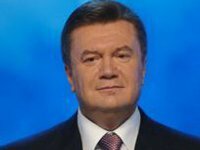 Ukrainian President Viktor Yanukovych has said that Ukraine and Russia prepared an action plan to resolve economic and trade restrictions, which will also deepen the strategic partnership between the two countries. "We've prepared a joint action plan to resolve trade and economic restrictions, a so-called road map that will significantly improve performance in this area," he said in Moscow on Tuesday while speaking at the sixth meeting of the Russian-Ukrainian interstate commission. Yanukovych said that this would benefit the entire sectors of the economies of the two countries. "The implementation of the action plan will significantly deepen our strategic partnership in many areas and will set in motion those projects that we've already started but which were slowed down or halted for one reason or another," the Ukrainian president said. He added that this was especially true for the high-tech industries.